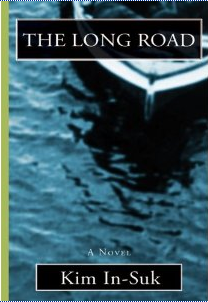 The Long Road is a short novel that examines the processes that caused idealistic young Koreans to depart for overseas during the 1990s in the wake of their experiences under Korea’s darker days of military dictatorship in the 1980s. The story centers on a trio of men: Han-Yeong, who although initially attracted to the freedom that Australia seems to promise, comes to feel increasingly ambivalent about his life there; his brother Han-Rim, a former minor singing star who fell afoul of the authorities in Korea for a song seen as critical of the government; and Myeong-U, who had been a student activist in Korea and develops psychological difficulties during his time in custody for protesting. Kim In-Suk is one of the most prominent of Korea’s new wave of female writers born in the early sixties. Recipient of numerous prestigious literary prizes, she is also one of the few writers to deal extensively with the Korean expatriate experience. Cornell University East Asia Program, 2005. Yang Gui-ja is one of Korea’s major literary figures of the last generation, with a succession of literary prizes and best-sellers to her credit. 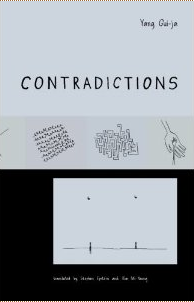 Her most representative early work, the 1987 Wonmi-dong saramdeul, is available in English as A Distant and Beautiful Place. Hwang Sunwon (1915-2000) is one of modern Korea’s most influential writers. He is the author of more than one hundred stories, seven novels, and two collections of poetry. Bruce and Ju-Chan Fulton are translators of numerous volumes of modern Korean fiction and have received several awards and fellowships for their translations. 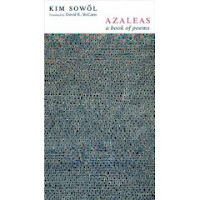 Originally published in 1925, Azaleas is the only collection produced by Kim Sowol (1902-1934), yet he remains one of Korea’s most beloved and well-known poets. Thanks to the elegant translations by David R. McCann, this landmark of Korean literature is now able to speak to people of all cultures. 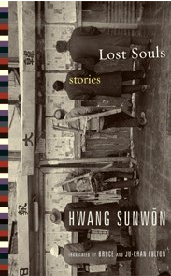 This book is essential reading for anyone interested in Korea and poetry. David R. McCann is Korea Foundation Professor of Korean Literature at Harvard University.